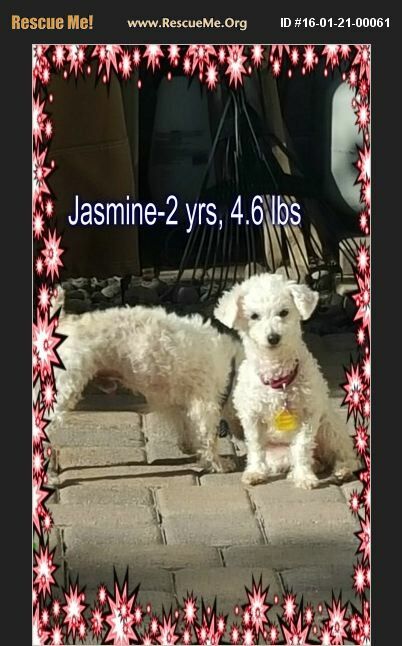 Jasmine is a 5lb Spayed F Poodle who was surrendered to rescue due to illness in family. Jasmine is timid but sweet as can be. She could use some training on housebreaking but other than that she is the perfect little lap dog. She is most happy giving hugs and being with her humans. She gets along ok with other dogs but can be protective when she is sitting on your lap. She is current on vaccinations, microchipped and spayed.